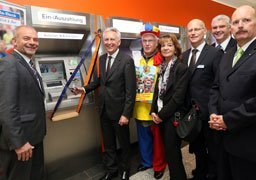 A nicely integrated self-service ATM of the evo series which is accessible by wheelchair, offers highly available cash-recycling to customers of the Herborn branch. 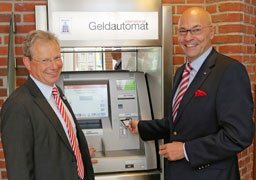 In its new, completely barrier-free branch Villingen-Schwenningen, the Sparkasse Schwarzwald-Baar provides two wheelchair accessible ATMs for best-in-class usability. 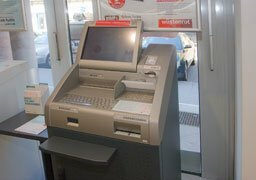 Sparkasse Dornbirn offers their customers foreign currency exchange also on outdoor locations – automated with cash-recycling ATMs of the evo series. 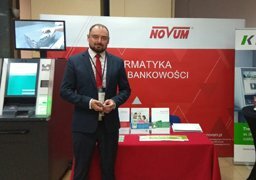 Polish sales partner NOVUM has already integrated more than 70 KEBA ATMs – now also outdoor ATMs from the evo series. For their new branch in Globus department store, KSK St. Wendel relies on KePlus connect as service-point. Account service terminals and barrier-free evo ATMs with wheel-under installation complete it. The compact design of evo, which allows the cheque scanner to be integrated in the basis system, was an important argument for the cooperative institute. 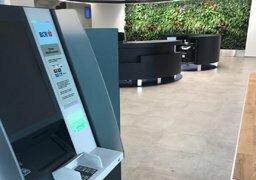 Rumania’s biggest bank, BCR, purchased exactly 100 ATM of the evo series in 2018 in order to realize innovative branch concepts. 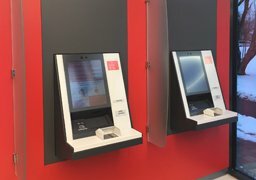 Over 220 account service terminals have been used by Bank Austria since April 2013, which were delivered and installed in a short space of time. 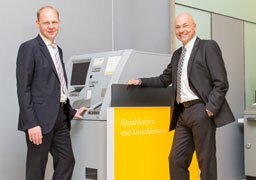 Commerzbank has been a KEBA customer since 2004 - in the meantime, over 1,000 KEBA cash recyclers have already been installed in the branches. 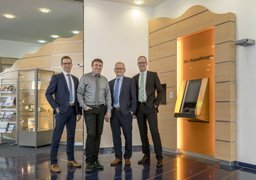 KEBAs largest customer in the savings banks sector in Germany offers nationwide cash recycling - with more than 100 KEBA recyclers. The result of many years of cooperation between Oberbank and KEBA is over 70 cash recyclers and 120 account service terminals. 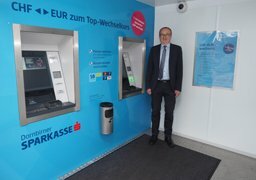 Sparda-Bank Südwest has installed and put into operation 111 KEBA cash recyclers in almost 80 branches and self-service locations in only two years. We would be happy to organize a visit to one of our satisfied customers. In this way, you can talk to other financial institutions directly and benefit from their first-hand experience.